The importance of social media as a way to monitor an electoral campaign is well established. Day-by-day, hour-by-hour evaluation of the evolution of online ideas and opinion allows observers and scholars to monitor trends and momentum in public opinion well before traditional polls. However, there are difficulties in recording and analyzing often brief, unverified comments while the unequal age, gender, social and racial representation among social media users can produce inaccurate forecasts of final polls. 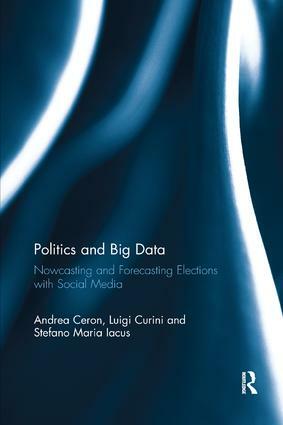 Reviewing the different techniques employed using social media to nowcast and forecast elections, this book assesses its achievements and limitations while presenting a new technique of "sentiment analysis" to improve upon them. The authors carry out a meta-analysis of the existing literature to show the conditions under which social media-based electoral forecasts prove most accurate while new case studies from France, the United States and Italy demonstrate how much more accurate "sentiment analysis" can prove.